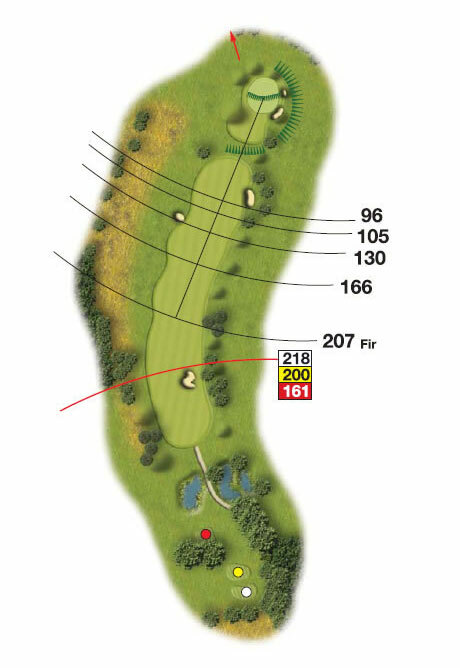 A risk and reward par 5 for the long hitters that are able to carry the large fairway bunker. A sensible drive placed left of the bunker will open up the landing zone for your second shot. This fairway slopes away towards the 16th so favoring the high side of the fairway is advisable. A small green which is protecting by surrounding banks which may or may not play in your favor.